Joe Klapec & Son is a leading contractor for septic system installation in Western Pennsylvania. We have installed hundreds of conventional and alternative septic systems and work closely with sewage officials to ensure quality. When you choose Klapec & Son to install your septic system, you can count on the job being done right. 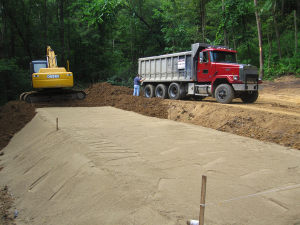 We only use the highest quality products and install every septic system with care and precision. Our septic systems conform to the regulations of the Department of Environmental Protection and we also guarantee our workmanship. Call us now to discuss your project in more detail.